Diamond Weight: 0.55 ct. tw. 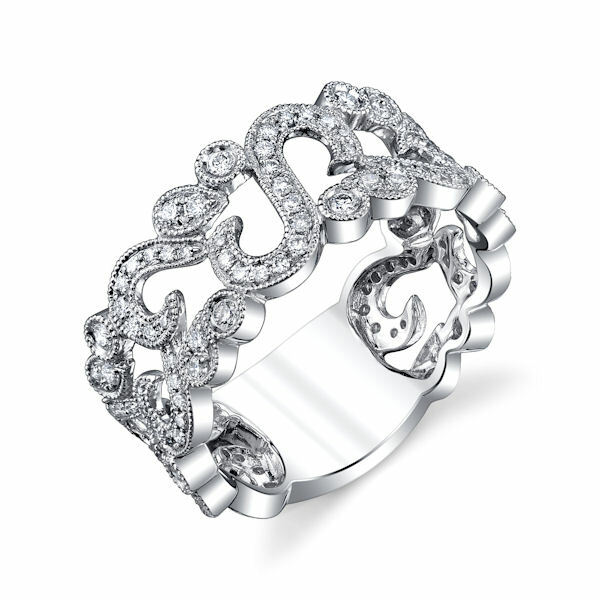 18kt white gold, diamond fashion ring with milgrain edges. There are about 119 round brilliant cut diamonds set in the ring. The diamonds are about 0.55 ct tw, VS1-2 in clarity and G-H in color.